Apple Watch has long been tipped to determine the level of sugar in the blood. About a year ago, even Tim Cook hinted at the appearance of a non-invasive glucometer, calling it one of the most breakthrough functions of the company’s branded smartwatches. However, probably due to problems in a working capacity, its appearance was decided to be postponed until better times. Fortunately, unlike the AirPower station, which was canceled altogether, the meter may still appear in the future Apple Watch. At least, this is indicated by the content of the new patent obtained by Apple. According to the content of the document, Apple intends to train Apple Watch to determine the level of sugar in the blood, based on the smell of the user’s sweat. To do this, they plan to equip the watch with a special sensor system that recognizes the chemical composition of sweat. This technique, despite some oddity, can be quite effective. The fact is that in people with high blood sugar levels, the sweat glands work a little differently than in healthy people, highlighting a secret that includes acetone and keto acids. 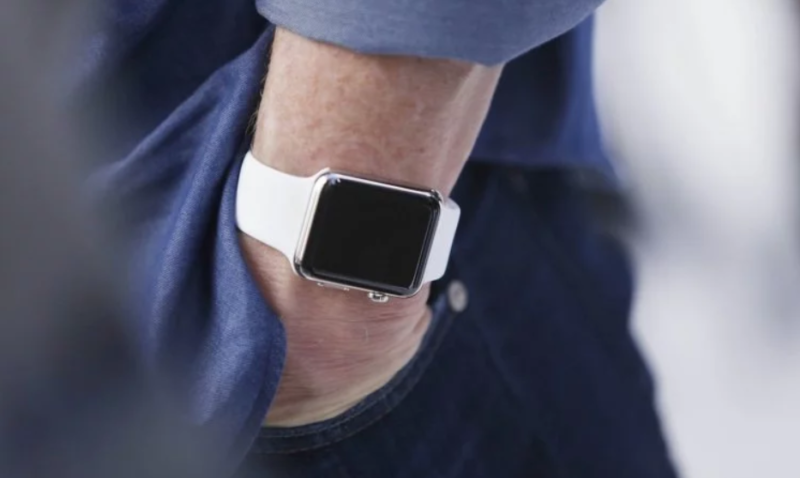 Apple Watch with the function of measuring blood sugar could debut in 2017. CNBC journalists were the first to be informed about this. They found Tim Cook testing an unknown gadget connected to the Apple Watch. This was confirmed by the CEO himself, speaking to students at the University of Glasgow. He stated that he had really tested the meter for several weeks. However, Cook noted, the gadget had to be removed before the meeting, since at this stage of development it reacts too sensitively to any changes that occur to the body. The ability to determine the level of sugar in the blood is not the only innovation that may appear in the Apple Watch. It is known that Apple and third-party researchers are testing the latest technologies that can determine high blood pressure, measuring the force of blood flow, diagnose sleep apnea, and even detect diabetes in the early stages. And all this – with only one heart rate monitor and specialized software.